I've been MIA the past month or so and I've missed a couple of Farley's "Currently" linkys, so you can say I am definitely excited to be participating once again! Because I've been MIA for a while now, I feel like I've missed out on some great clip art and font, so if you have any favorite go- to shops for clip art & font, feel free to share. I'm soooo excited to do some damage!! And I'm sure you've heard by now Google Reader is going bye-bye after July 1st!!! This is definitely going to be a huge change for me, as well as a lot of others who love Reader, but I guess change is a good thing....right?! 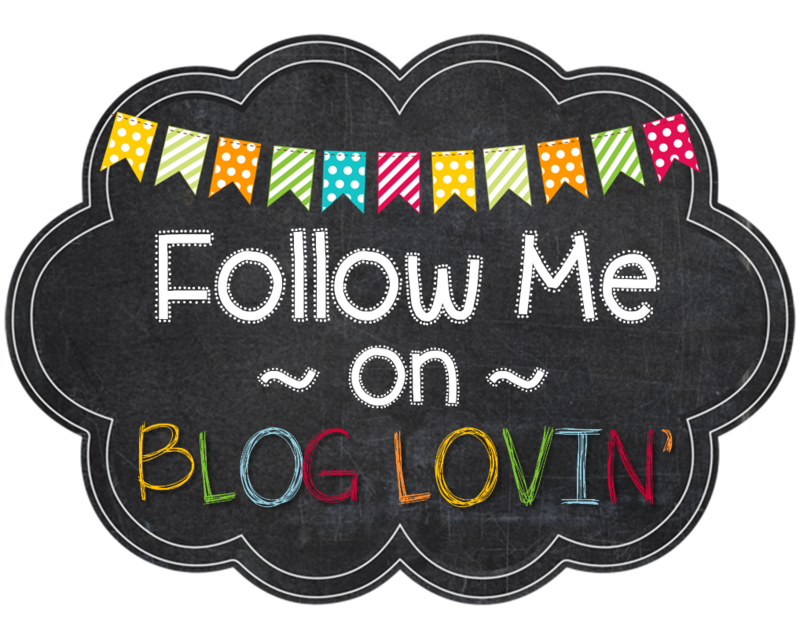 I sure hope you'll come and join me on Bloglovin'! And don't forget about the FLASH 24 sale going on in my store right now!! I need to find online back-up as well. If you find one that seems good make sure to share. 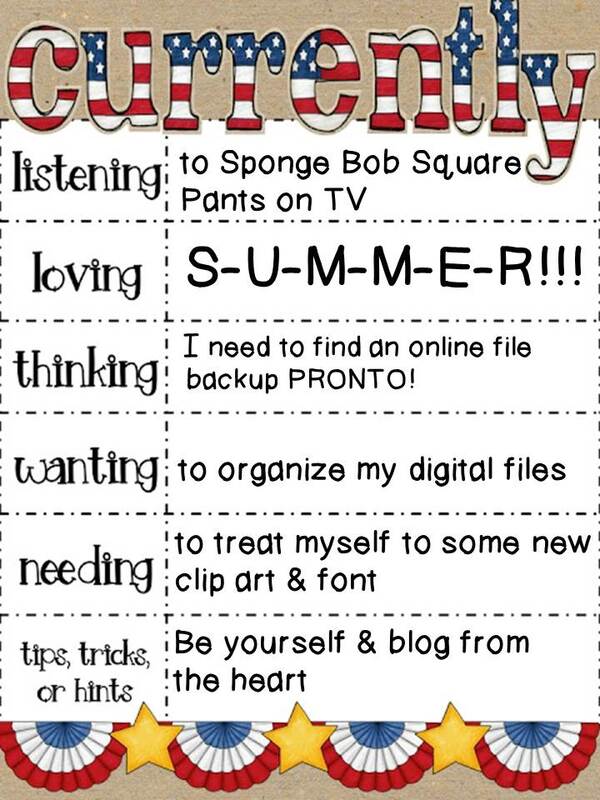 I haven't tackled organizing my digital files, but it is on my to-do list. Hi! I am not sure if you already found a bloglovin' button, but I wanted to let you know where I found mine... I found it on Common Core and So Much More. Her tutorial is very user friendly! I was hoping I could ask you a question... Can you tell me how to make a picture a clickable link? For example, if you were linking up to a linky party.. I can get the pic into my blog, but I haven't figured out how to link back to the host's blog! Thanks so much for your help!! Spongebob Square Pants!! You are my kind of gal!! :) I just went clip art shopping the other day...I got pretty carried away! I hope you have more self control than I did! I can't tell you how many times I find myself just sitting and watching SpongeBob! Love that little guy. …and time for some clip art……….. yay! Hi! I found your blog through Farley's linky -- It is SO cute!!! I just recently organized my digital files. It is such a chore, but definitely worth it! I love your advice. Sometimes I find myself overthinking what to blog about when I should just blog when inspired! OMG!! Thank you sooooo much for stopping by my blog and responding to my question! I truly appreciate that you took the time to answer my question...so nice! You are AWESOME!! I still feel pretty new to making digital products--I haven't purchased clip art or fonts but it does seem like one could get carried away. : ) Cute blog!